Chengdu is one of the most fascinating destinations to visit in China. If you plan on visiting Chengdu but require some basic information before you book a tour, Indonesian2China has a rundown of some of the best restaurants, hotels and attractions which can be tailor-made just for you! Check out the information below and get planning for your Chengdu tour. Chengdu is one of the most popular gourmet cities of Sichuan Province, famous for its spicy cuisine. The hotpot is often top of the list to try out in Chengdu along with its local street snacks which can be found in the main streets of the city. Try out the signature dishes at the recommended restaurants below and it will certainly spice up your Chengdu tour! When it comes to booking the right accommodation for you and your family, Indonesian2china has a wide range of hotels available for your choice. The following hotels are a few hotels that we highly recommend for your visit to Chengdu. 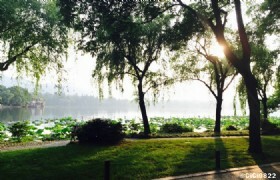 Chengdu is one of the most exciting cities to visit in China. Though the biggest highlights has to be visiting the Chengdu Panda Base and Jiuzhai Valley which are two of the most popular attractions for tourists. The Chengdu Panda Base was established in 1987 and to begin with had a total of 6 cubs. Over the years the Base has managed to breed 124 cubs of which 83 survived and today efforts are still in place to help save the endangered species. Here you can get up close and personal with the adorable creatures and see their daily lives within the enclosed habitat. 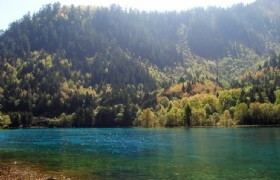 Jiuzhaigou Valley is a nature reserve and national park located in northern Sichuan Province of southwestern China. Jiuzhaigou Valley scenic and historic interest area is part of the Minshan Mountain range on the edge of the Tibetan Himalayan Plateau and stretches over 72,000 hectares. 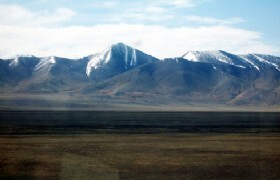 It is known for its many multi-level waterfalls, colorful lakes, and snow-capped peaks, with an elevation ranging from 2,000 meters to 4,500 meters.